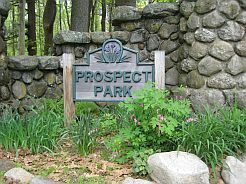 Friends of Prospect Park, Inc. is a not-for-profit organization composed of citizens interested in establishing and maintaining a passive recreation and garden area in Prospect Park. Prospect Park is located between Prospect Street and Boylston Street (Route 140) in Shrewsbury, Massachusetts. This website (www.prospectfriends.org) is designed to inform others about the park and to facilitate communication within the membership. To oversee the improvement and maintenance of the area between Prospect and Boylston Streets in Shrewsbury to be known as Prospect Park. This parcel of seventy acres was purchased from the Masons in 1976. The hospital was razed in 1979, and little has been done there since. The Water Department maintains water tanks on the western boundary of the park, and the Parks and Cemetery Commission has set aside approximately one-third of the area across from the town cemetery for possible cemetery expansion. 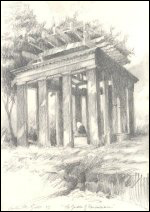 In 2003, the Shrewsbury Garden Club approached the Parks and Recreation Department and the Parks and Cemetery Commission to present a plan for opening up this valuable town asset for passive recreation. Both agreed to sponsor such a move. During the fall, the Garden Club started work on the project enlisting the support and man-power of many citizens and other organizations, such as Girl Scout and Boy Scout troops. Please join us in developing and maintaining this park. During June and July, cleanup days will be held on the second Saturday from 9-noon. Contact members of the committee to help out or to make a donation.